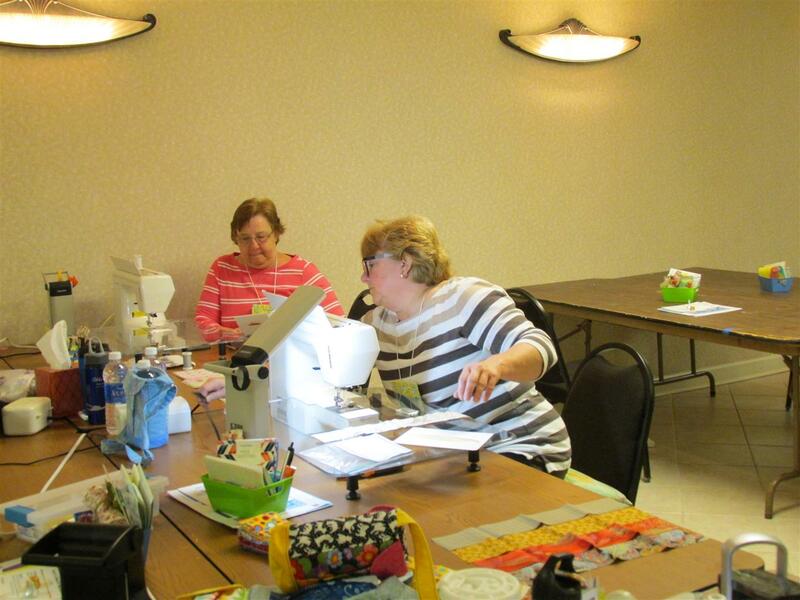 Just back from Blowing Rock, NC and the 2015 Quilt & Sew-In Retreat! 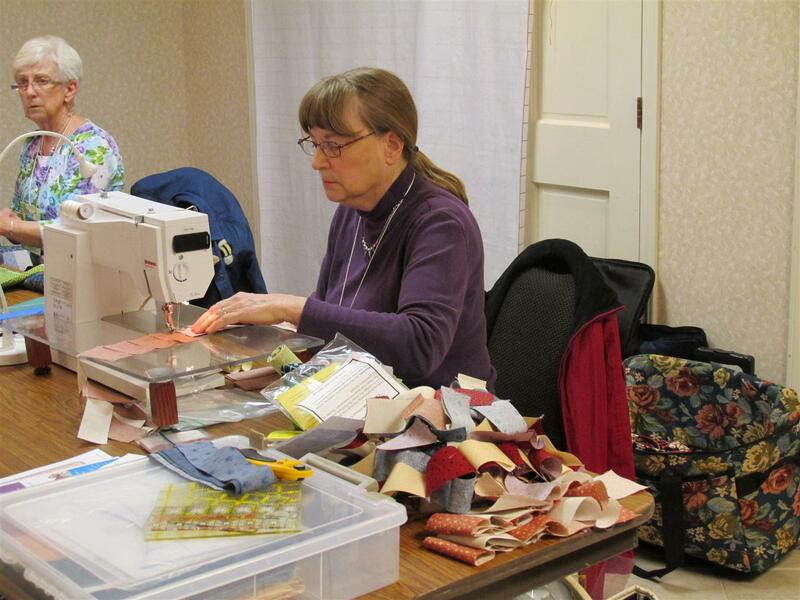 Twenty gathered to sew, laugh, play, laugh, and sew some more! 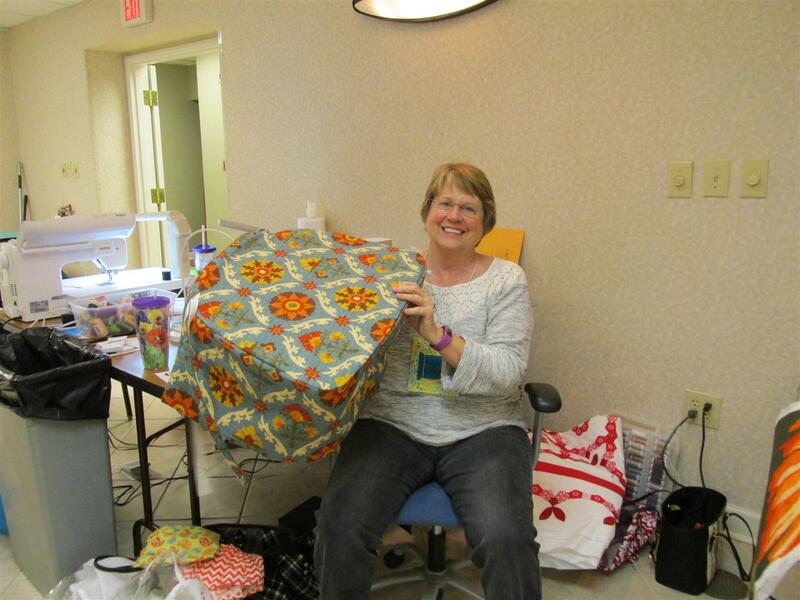 Here is just a tiny sampling – come back tomorrow for more!! 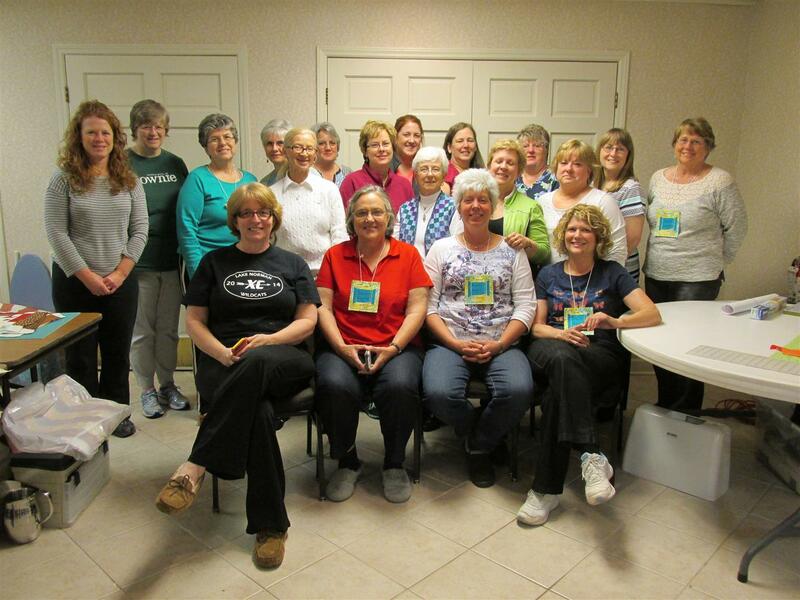 Twenty retreaters – from North Carolina, Ohio and Virginia! 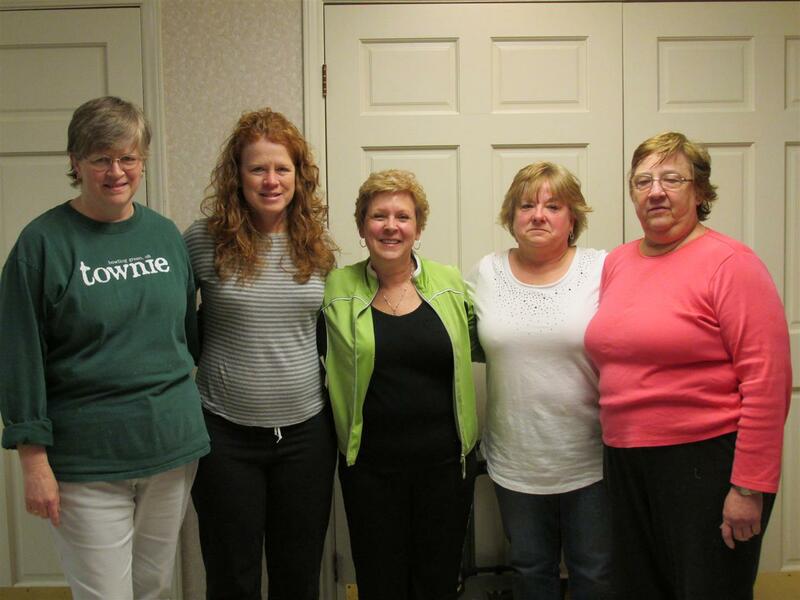 The 4 on the right traveled all the way from Ohio to retreat with their “sister” on the left. 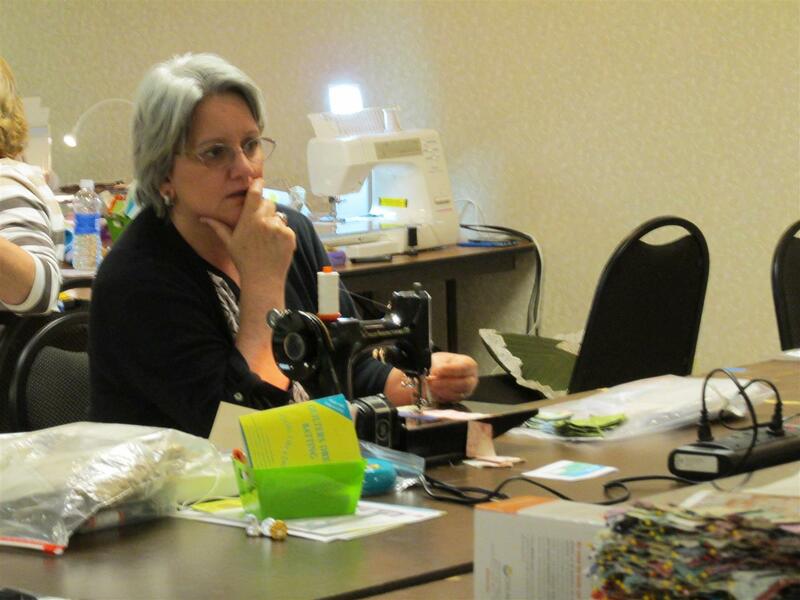 Judy – thinking, thinking, thinking.